We stand together for peace. 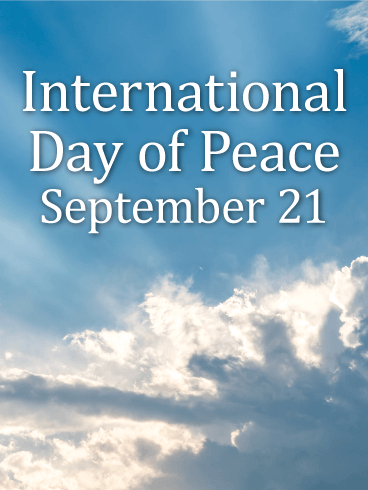 Take a moment to honor the International Day of Peace with a simple and powerful greeting card. Solidarity is standing together. It is saying "Yes!" to human rights and "No!" to bigotry. World Peace Day reminds us about the human cost of war. It asks us to uphold dignity, compassion, non-violence and tolerance. Send an International Day of Peace card greeting to say, "Long Live Absolute World Peace." Up with peace. Up with people. 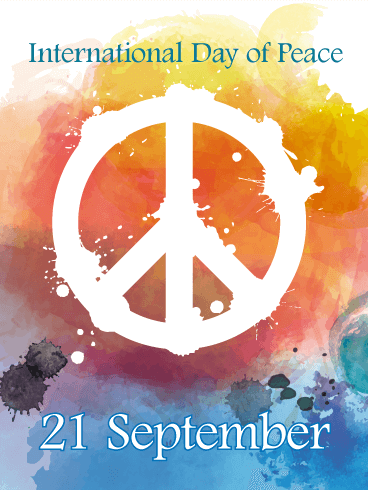 Celebrate International Day of Peace and send an inspirational World Peace Day card to your friends and family. This day asks us to take a moment in silence and to reflect on our shared humanity, to respect our differences, and to uphold human rights. Peace doesn't need a lot of words; we all know what it feels like. 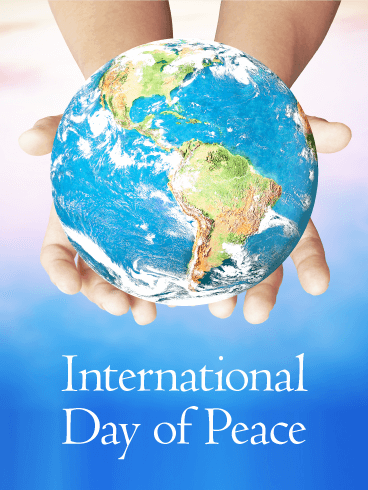 Send an International Day of Peace card to help promote Peace Education around the world. Peace starts with you. We are better, kinder, stronger when we are together. The International Day of Peace greeting card offers a moment of silent reflection for the receiver. 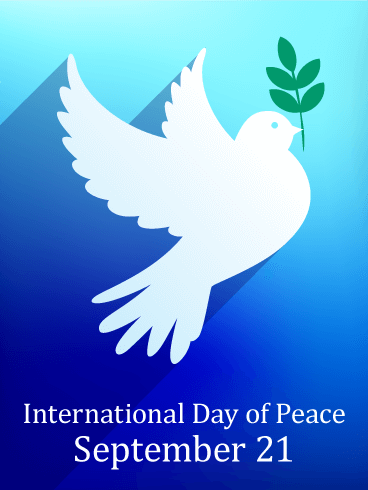 Promote peace education and awareness about human rights issues, immigration, and the cost of war when you send a World Peace Day card. The ideals of peace will only strengthen if we share them and make others aware of how we can stand in solidarity with one another. Throughout history, war and dissent have plagued people around the world. People have lost homes, family, friends, and hope as destruction, chaos, and fear filled their countries and lives. This year, celebrate with an International Day of Peace card and use this as a time to love your neighbors and help those who need it. Instead of war and pain, offer hugs and encouragement to promote peace in your own life and the lives of those around you! 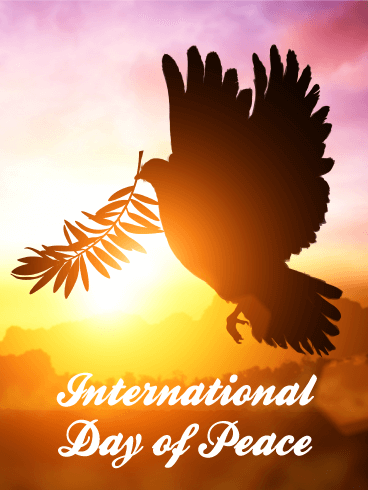 Stand up for peace and send an International Day of Peace greeting card! The message of peace must be spread. Many people forget about this powerful and important national holiday, but you won't forget! You will remind your friends and family that peace is worth remembering, worth fighting for, and worth believing in. 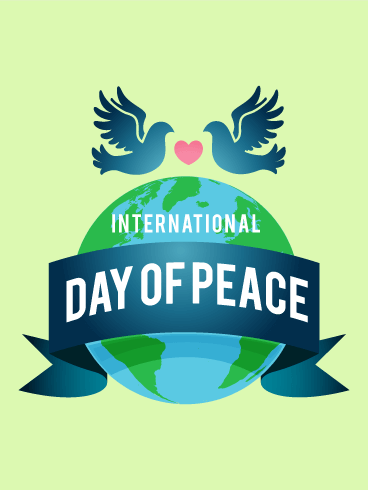 Celebrate World Peace Day by supporting others to raise their awareness on issues about the impact of war, immigration issues, and promoting dignity for all people. No one has peace unless we all have peace. Peace, love, and harmony were the symbols of the hippie movement and they are still an important goal for all of humanity. 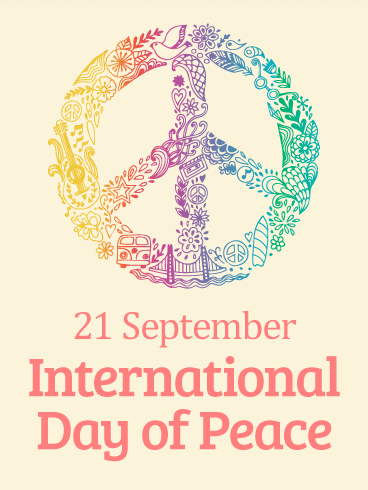 This September, celebrate the effort to end war and strife with an International Day of Peace card. Work with your loved ones and local peace groups to encourage peace for everyone, no matter who they are or where they live. There are nearly 200 countries throughout the world, each with its own people, language, culture, and customs. Despite these differences, we are all part of one whole - humanity connected through the world in which we live. 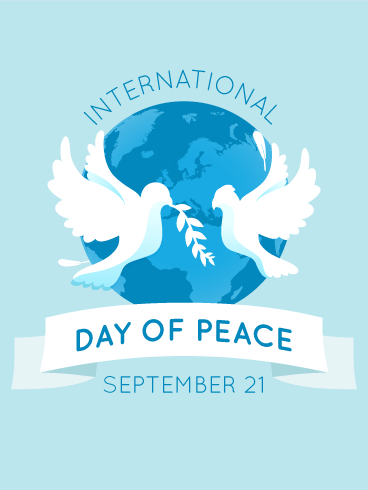 On September 21, celebrate this global community by sending an International Day of Peace card to everyone you know. Make peace a priority and spread love around the world today! 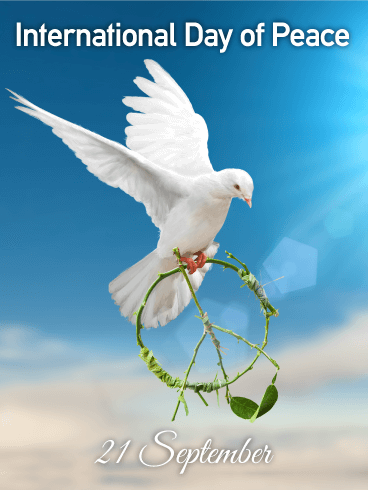 Throughout history, doves have been used to symbolize peace and harmony. On this year's International Day of Peace, share your own peace, love, and harmony with the people you care about the most. Use the dove on this International Day of Peace card to spread this message of hope to your community and people around the world. Send this card today! Dignity for all. We share a common humanity that is celebrated on World Peace Day. Send an International Day of Peace greeting card to promote understanding and respect for diversity. We have many opportunities to build a culture of peace on a daily basis, so why not take this simple opportunity to send an International Day of Peace card to everyone you know? The building blocks to peace begin with awareness. 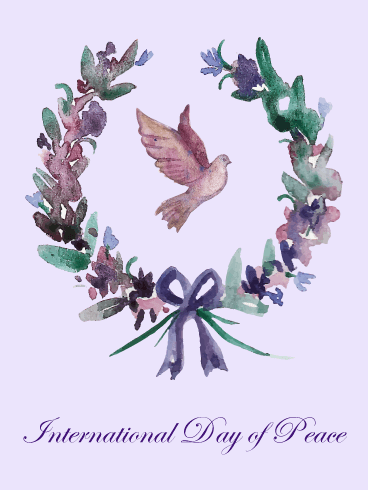 This beautiful world peace greeting card is all about awareness. How to achieve world peace? It starts with contemplating the ideals of peace and fostering them in your own life. Share the beauty of World Peace Day with your friends and family by sending this International Day of Peace greeting card to remind them to spend a few moments in reflection. Peace creates a sustainable future because it promotes dignity for all.